I don’t know about you, but that sounds like one heck of a cocktail, and since Scott Calvin asked for his drink to be stiff, I have a sneaky suspicion there’s more than just chocolate in that yummy cocoa. So we’re making Santa’s Spiked Cocoa like we think it’s really made. We hope you enjoy this week’s Disney Inspired Cocktail! Bring to a boil over medium heat. Boil two minutes. We hope you enjoy Santa’s spiked hot cocoa, and be sure to pin it for later, and let us know when you make your own. You can tag us on Instagram or Twitter and like always you can use #yohodisneycocktails. Charity loves photography, fashion, and #allthingsdisney. It's a disney life for us! 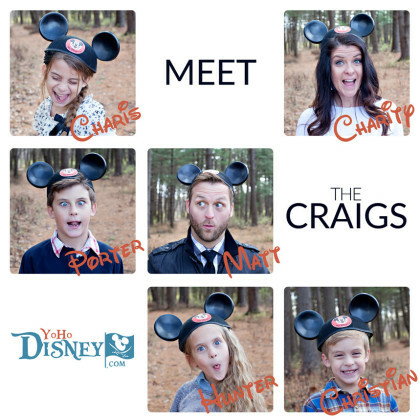 We're a family of six who love #allthingsdisney, and we're here to share our love with you. You know what they say... a family that Disneys together, stays together.